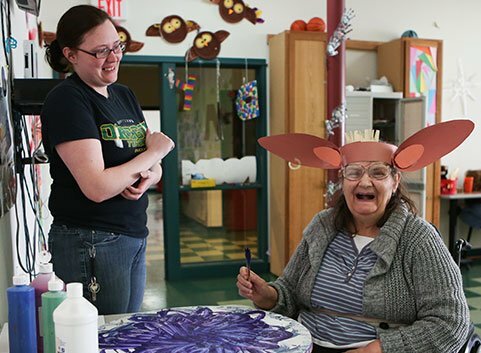 This program offers opportunities to adults with intellectual and developmental disabilities to build social skills and to explore creative expression in a safe and cheerful environment. LEAP aims to broaden creativity, stimulate intellect and to promote healthy living through a variety of small group activities. The program includes community integration to build social skills and to encourage participation in the community. Our staff has extensive experience with a wide range of disabilities and strives to bring out each individual’s potential. Contact us to join the Adult Day program or to learn more.